Through the ever-growing social media landscape, marketing agencies and creatives like us are keeping an eye out for the next big marketing tools. At today’s Delucchi University, we dove into the world of virtual reality, augmented reality and 360-degree video with our Content Strategist and Producer, Clark, who broke down experiential marketing and how agencies can implement these new strategies. 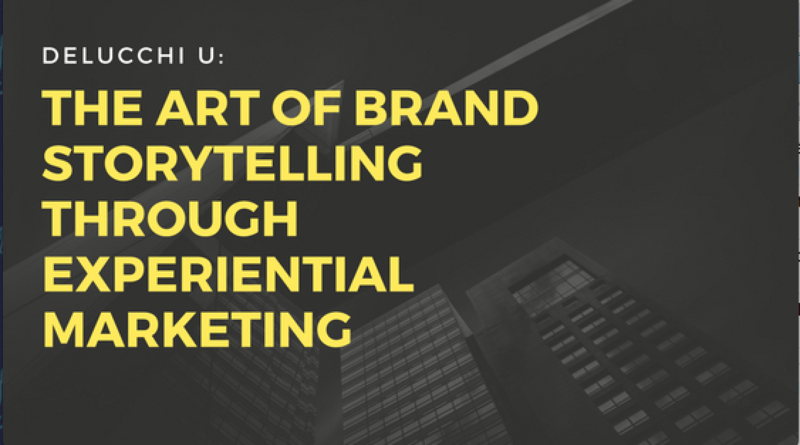 Experiential marketing is simply a mutually beneficial interaction between a brand and a consumer. What makes it a powerful marketing tactic is that it is capable of connecting consumers with a brand through further immersion. From events to online and in-store happenings, experiential marketing campaigns are popping up all over the place in an effort to have brands be seen and remembered. Clark walked us through the pros and the cons of implementing experiential marketing, specifically from our standpoint here at Delucchi Plus. To wrap up the experience, we had a little fun with the HTC Vive and immersed ourselves in VR experiences, to get a taste of the potential the platform has to inspire our own content. Having VR, AR and 360-degree video as potential options, the possibilities to get creative are endless and we can’t wait to explore this new landscape of the future.